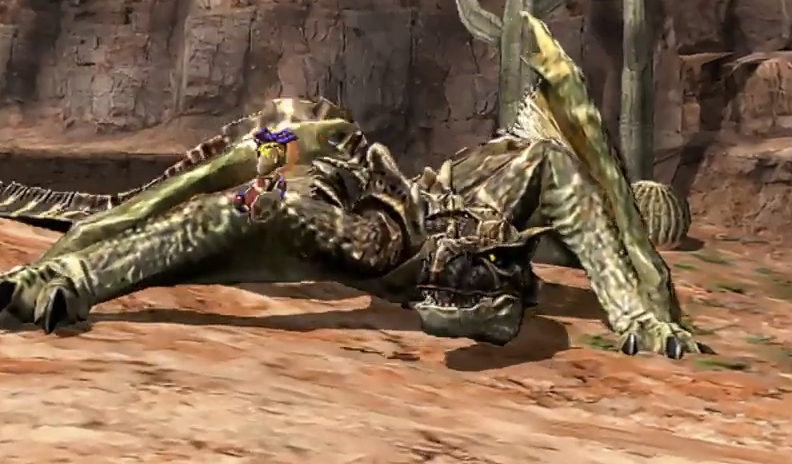 The Brute Tigrex makes its Western debut in Monster Hunter 4 Ultimate! It’s more powerful than the regular monster and has a few new moves; come in and read all about it! 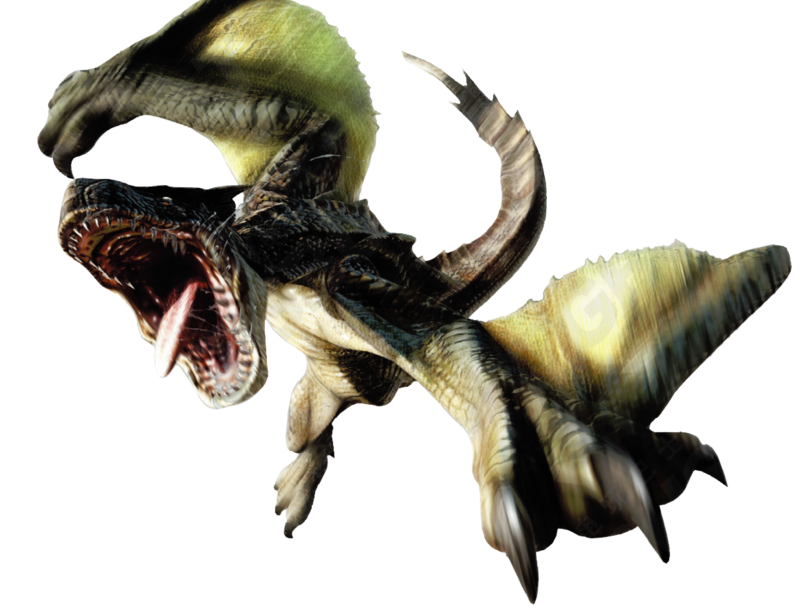 The Brute Tigrex is one of two new subspecies of Tigrex first seen in the unlocalised Monster Hunter Portable 3rd, and so makes its Western debut in 4 Ultimate. It’s a flying wyvern that’s black and brown in colour and cannot be fought at low rank. It’s tougher than a regular Tigrex and has a few new moves as well. The elementally inclined should bring water weapons, and do bear in mind that you can sever its tail in addition to breaking its face, back and each of its wings. The Brute Tigrex, much like the regular Tigrex, doesn’t so much attack as it does flail about the place and happen to hit you in the process. This is seen when you’re riding it as well; most monsters will stay in one place when they try to throw you off, but the Brute Tigrex, like the regular Tigrex, will run you across the map and pose a significant hazard to any other hunters in the vicinity in doing so. 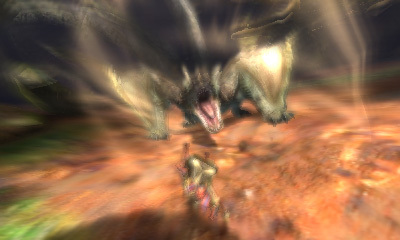 The Brute Tigrex has a flailing charge attack that always runs in a straight line which it can terminate in either a bite or a spin; the latter will do quite a bit of damage. It can change its direction up to two times when it’s charging about the place, so keep an eye out. When it’s enraged, it becomes capable of finishing the charge attack with a powerful roar. The Tigrex’s roar has short range, but unlike most roars, is capable of actually doing damage if you get too close to the beast when it goes off. The Brute Tigrex has another type of roar when it’s enraged. 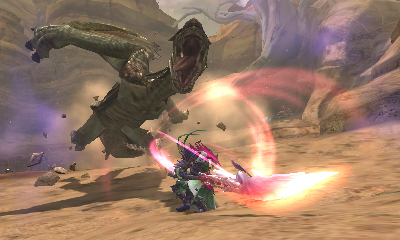 Similar to that seen in the Najarala, the Brute Tigrex can spit out a roar that extends in front of it for a significant distance; this roar has its own animation and does quite a bit of damage. This roar is the one that can be used to finish an enraged charge attack, which I talked about above. When it’s infected with the frenzy virus, it can use its powerful roar twice in a row, which could even kill the hunter if they haven’t been topping up their health. Also of note is that it can charge up to four times in a row when in this state. Stray too far from this beast, and it will dig its claws into the ground to hurl some rocks at you. These rocks can inflict fireblight in a hot environment, and waterblight in a wet one. It can also leap across the map to greet you if you keep running from it. All of this high-energy movement is bound to make the beast hungry. When this happens, it will fly off to find a herbivore to munch on. There’s another species of Tigrex, to be discussed in two weeks. Next week though, we look at the new Kirin subspecies!